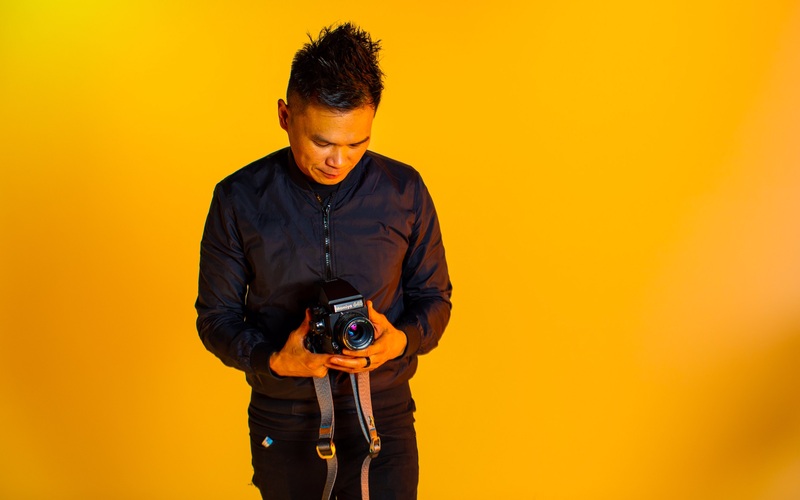 Tuan Huynh is a Senior Art Director for Leo Burnett Advertising and is connecting Sunshine Youth with future career paths. In early January of 2018 a group of middle school students from Sunshine’s Made for More program boarded vans to head downtown for a special surprise. A collaboration between friends Donnell Williams, Sunshine’s Middle School Programs Director, and Tuan Huynh, a Senior Art Director for advertising agency Leo Burnett, finally came to be. Students experienced the VIP treatment at Leo Burnett’s downtown offices with an interactive tour that included an emergent experience of creating and presenting marketing ideas. This collaboration was so well-received that Huynh was compelled to make several more trips over the course of the year to Sunshine’s programs to lead more creative activities with the youth. “I began thinking about ways to introduce them to a broad spectrum of potential career opportunities through the advertising world; from photography to creative design to copywriting, account management, and strategists.” Conversations with Donnell along with Executive Director Joel Hamernick eventually led Huynh to also join the Sunshine Board of Directors where his unique background and creative experience is providing a needed voice. Huynh’s background provides an inherent empathy to his work with Sunshine. Raised in Kansas City in low-income housing, he spent his teen years navigating the streets of his neighborhood and became involved in gang activity that would eventually land him in prison. During his time in prison, he became passionate about his relationship with Christ and dedicated to improving his life and living for Christ when he was re-integrated into society. He would later become involved in a youth program for teens called SLAM in which he crossed paths with Sunshine staff member Donnell Williams. They struck up a friendship that would lead to Huynh’s involvement with Sunshine’s youth programming. His passion for exposing youth to different career opportunities has grown since his involvement with Sunshine. Huynh has advocated on behalf of Sunshine to Leo Burnett to build a creative lab for the youth. He obtained a $50K grant to build out the lab and is developing curriculum that will source volunteers to teach workshops for the students on design, presentations, photography, graphic arts, copywriting, and account management. So far 3 computers and 10 laptops have been donated along with design software. Additionally, he has secured 2 spots for High School students in the summer internship at Leo Burnett’s downtown Chicago office. These internships are highly competitive and can lead to tremendous future opportunities for young people. Sunshine is so thankful that the Lord led Tuan Huynh to us and the amazing opportunities he is facilitating for our youth. We look forward to his continued leadership on our board and with our youth.